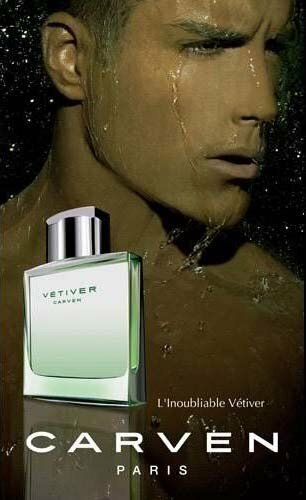 Vétiver (2008) is a perfume by Carven for men and was released in 2008. The scent is green-fresh. The production was apparently discontinued. 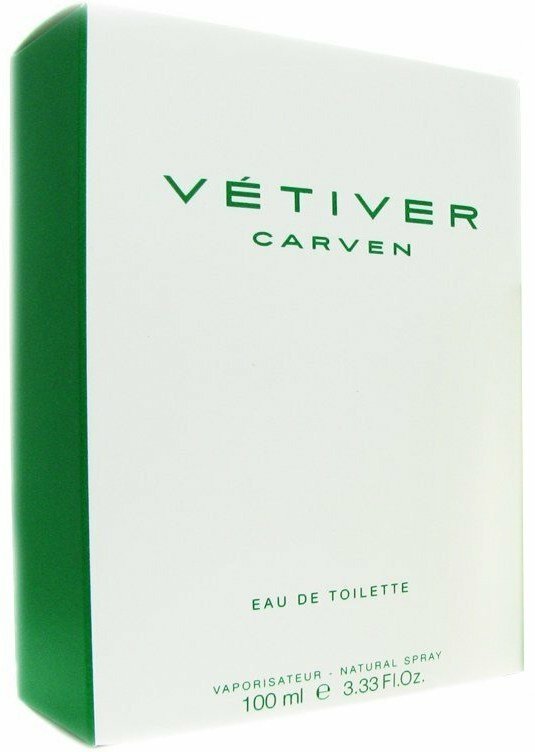 If my information is correct, it was Carven who launched the first Vetiver gents' cologne in 1957. Givenchy followed two years later, but the famous Guerlain Vetiver was launched not earlier than 1961. Whereas Guerlain simply made it, Carven's Vétiver is widely unknown today. Even more than Guerlain, Carven has adjusted their Vétiver to the Zeitgeist – I believe it must have been under steady reformulation over the years, and also the bottle designs differ a lot. Maybe, Carven can claim to have the oldest, but equally the youngest, most temporary Vetiver in its line-up. The vetiver note used in Vétiver is green, earthy, quite smoky and not so elegant as the one we know from Guerlain. But no matter how rough this note would appear on its own – this vetiver is put together with one of the most elegant and powdery of all notes: orris root! This lucky combination is what makes Carven's Vetiver stand out. Orris root and vetiver are notes that are sufficiently far away from each other to provide a distinct contrast, but they also have enough in common that enables a dialogue between both. Repulsion and attraction within a perfume is always good for a memorable fragrant experience. Whereas roughness and elegance, earthiness and airiness, smoke and powder may separate both notes from each other, the bridge between them is they both miss a specific opulence or volume. Both notes are unsweetened and dry, cool without being fresh, detached and lean. With their earthy, dark green and sometimes rough and smoky appeal, Vetivers are rarely perfumes for sunny days, and this applies all the more for one that adds powder and dust to smoke. Only a not too strong citric note in the top notes gives us a smile at the beginning of the encounter. Carven's Vétiver is wrapping a black soul into layers of genteelness. I feel an orris vetiver like this is made for office wear, providing some coolness and serenity to the working day, but not trying to lighten up the sky and the moods of people where this may not be appropriate. Longevity is good, it can keep up the whole working day. Carven's orris Vétiver has its successors, namely Tom Ford's Grey Vetiver and Prada's Infusion de Vetiver. It may be not as fresh as Prada's, but then, it is without any synthetic appeal. 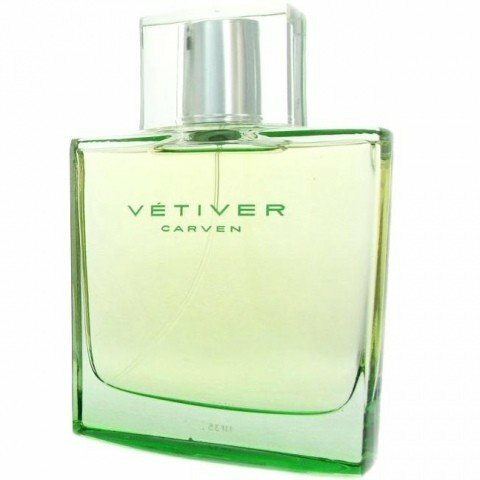 I have no doubt that Carven has dimmed down its Vetiver over the years. Today, it can count as somehow puristic, with a clean focus on orris and vetiver. It is very well adjusted to the current general taste, and I dare say, in doing so, they succeeded much better than Guerlain. Many younger men are a bit reluctant to try a vetiver perfume as they tend to have a certain old gent's image. In these cases, Carven's Vetiver will be my recommendation. Carven's line-up is a bit confusing. Next to their Vétiver they sell a “Le Vétiver” which allegedly complies with the vintage from 1957. Be that as is may, the “Le” is basically the same, but with a civet-like note added: Imagine Guerlain's Vetiver with a dash of Jicky! I have them both and it is hard to say which one to prefer. Vétiver is definitely more puristic, focused, modern, and less opulent that the “Le” which may have a bit more character. Try both! Write the first Review for Vétiver (2008)!